28.12.2013 The New 2014 Year with DF! As usual, the discount of 14%, at purchase of any of our programs. 28.03.2013 We are 13 years in business! Discounts 25%+ within 13 days! The discount of 50% when purchasing DF™ TopList Professional and 25% buying or leasing our other programs within 13 days (28.03-9.04). 28.12.2012 The New 2012 Year with DF! The discount of 50% when purchasing DF™ TopList Professional and 13% buying our other programs. 24.06.2012 New version of DF™ PR/Alexa Checker v4.2 (WinGUI)! Now you can use sockets (for speed) or Curl-library (for use with all types of proxies, including socks-proxy). 28.03.2012 We are 12 years in business! Discounts 25% within 12 days! As usual, we offer to you discounts of 25% again for purchase of any our products and services within 12 days. 28.12.2011 The New 2012 Year with DF! As usual, the discount of 12%, at purchase of any of our programs. 08.10.2011. Google PageRank Checker Updates — DF™ PR/Alexa Checker v4.10 (WinGUI)! Updated algorithm for determining PageRank. 28.03.2011 We are 11 years with you! Discounts 11% within 11 days! As usual, we offer to you discounts of 11% again for purchase of any our products and services within 11 days. Write to us to get the discount. 16.01.2011 New version of DF™ PR/Alexa Checker v4.0 (WinGUI)! 28.12.2010 The New 2011 Year with DF! As usual, the discount of 5%, at purchase of any of our programs. The New Year's discount of $20.11, at purchase of 3 (and more) DF™ TopList Pro copies or DF™ Web-Traffic Shop systems (Purchase&Sale). 30.07.2010 DF™ Cheat Analyzer 2.15 has been released! 30.06.2010 New version of DF™ Web-Traffic Shop 2.24! Division of system into models is made, models differ with functionality and the price, each model of system can be bought or rented. The free version of system is updated. This program already is used on several large sites with the traffic 1 million hits a day. 31.12.2009 The New 2010 Year with DF! The New Year's discount of $20.10, at purchase of 3 (and more) DF™ TopList Pro copies or DF™ Web-Traffic Shop systems (Purchase&Sale). 28.03.2009 We are 9 years in business! As usual, we offer to you discounts of 9% again for purchase of any our products and services within nine days. 30.12.2008 The New 2009 Year with DF! The New Year's discount of $20.09, at purchase of 3 (and more) DF™ TopList Pro copies or DF™ Web-Traffic Shop systems (Purchase&Sale). 02.06.2008 New version of DF™ Cheat Analyzer 1.42! Now we has created our own forum on our site, where you can ask questions about our products and services, post your comments and share your experience with others webmasters. We will be glad to answer on yours questions and improvement offers — just write them in the corresponding threads. Enter forum. 02.06.2008 New version of DF™ Cheat Analyzer 1.41! 06.04.2008 New release of DF™ Cheat Analyzer 1.4! 28.03.2008 Today we are celebrating the 8th anniversary! As you already could guess, we offer to you discounts of 8% again for purchase of any our products and services within eight days. 14.03.2008 New release of DF™ Cheat Analyzer 1.3! 30.01.2008 New version of DF™ Cheat Analyzer 1.2! 30.12.2007 New Year's discounts 2008! The discount of 5%, at purchase of any of our programs. The special discount of $20.08, at purchase of 3 (and more) DF™ TopList Pro copies or DF™ Web-Traffic Shop systems (Purchase&Sale). The offer lasts till January, 14. Request the New Year's discounts and gifts from a DF support (ICQ: 6777546). 21.11.2007 New system — DF™ Cheat Analyzer v1.0! 28.06.2007 DF™ Google PR and Alexa Traffic Rank Checker v2.0 (WinGUI/Server-Console)! 14.06.2007 DF™ Site Monitor 2.0 has been released! 21.05.2007 On our site has appeared the page for your opinion! Now you can write your opinion about our work or our software. 30.04.2007 New free version of toplist DF™ Toplist Lite 2.8! 10.04.2007 DF™ TopList MultiMembers v2.0 — now multithreading version! 28.03.2007 Our company celebrate a jubilee once again. We are 7 years with you! By the permanent tradition, discounts and gifts are waiting for all clients! For all products within 7 days we give the discount of 7%. To buyers of toplist is waiting the special gift. 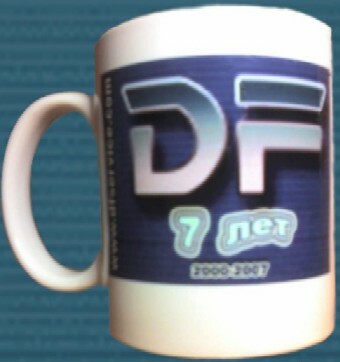 At purchase of 3 copies, you were guaranteed receive a gift — the special DF(tm) mug! And also to all our clients having 7 and more toplists — special DF(tm) mugs are waiting for you! Thank you for your choice! 22.03.2007 New checker's version DF™ Google PR and Alexa Traffic Rank Checker v1.6 (WinGUI/Server-Console)! Previous versions Alexa checker have ceased to determine Alexa Traffic Rank. You can free-of-charge update the old version. 06.03.2007 New! DF™ Toplist MultiAdmin — system for multiple toplists administration! 19.02.2007 The new version of websites monitoring system DF™ Site Monitor 1.55 has been released! 08.02.2007 New checker's server version DF Google PR and Alexa Traffic Rank Checker v1.5! In the new version can be select of determining PageRank for domain or for page, made also removal from the list of repeating URLs. 24.01.2007 New DF™ Toplist Pro version 2007! 27.12.2006 New Year's discounts 2007! The discount of 7%, at purchase of any of our programs. Gift DF™ Google PR Checker WinGUI (or the discount of 7% — by your choice) at purchase of DF™ TopList Pro or DF™ Web-Traffic Shop. The discount of $20.07, at purchase of 3 (and more) DF™ TopList Pro copies or DF™ Web-Traffic Shop systems (Purchase&Sale). 28.11.2006 The Surcharge of payment by credit cards and PayPal is reduced! Payment of our programs and services by credit cards, PayPal, Wire transfers and checks became cheaper! The Surcharge is reduced in 2 times: 10.5% 21%. 20.10.2006 New free toplist version DF™ Toplist Lite 2.79! 17.10.2006 New checker's server version DF Google PR and Alexa Traffic Rank Checker v1.4! 27.09.2006 New offer! DF TopList + Site Monitor += PR/Alexa Checker! Advantageous offer! Buy DF™ TopList Pro) and the monitoring system (DF™ Site Monitor), and you'll get PR/Alexa Checker for free (DF™ Google PR and Alexa Traffic Rank Checker (WinGUI version)). The offer is available till October, 15! 18.09.2006 Desktop version DF™ Google PR and Alexa Traffic Rank Checker has been released! 16.09.2006 DF™ Google PR and Alexa Traffic Rank Checker — price decrease! 07.09.2006 New software — DF™ Google PR and Alexa Traffic Rank Checker v1.2! 12.08.2006 Final release DF™ Toplist Pro 2.77 is now available! 25.07.2006 The new version of websites monitoring system DF™ Site Monitor 1.30 has been released! 02.04.2006 Installation of the new toplist version DF™ Toplist Pro 2.74b is started! The new toplist version is almost finished, it is not planned to bring in deep changes. Installation by request is started. The final version will have the more documentation which now is written and translated. 28.03.2006 We are 6 years old! Traditional birthday discounts of 10%! By our good tradition, within 6 days (from March, 28 till April, 2) celebratory prices are waiting for you — discount of 10% for all! By tradition, in new year we have for you our celebratory offers. At purchase of 3 copies of DF TopList Pro or the DF ™ Web-Traffic Shop (Purchase and Sale) system you will get the discount of 20.06 dollars. The offer works two weeks after the New Year (till January, 14). 12.12.2005 New free service for toplists owners! The new service, allows to toplist owners to manage several accounts simultaneously at single site. Anyone who has DF TopList Pro/Lite v2.65+ can add his toplist to the service. 25.11.2005 New version of the system DF™ Web-Traffic Shop(Purchase&Sale) 1.20! There are changes in traffic purchasing. The statistics for categories of the bought traffic for the system administrator is made and some improvements of system interfaces. Details about new functions you can find at changes log and at the page of system description. 23.11.2005 Newsletter subscription is now available! Now you can subscribe to the news about our projects. Now you can learn about releases of new versions of our software and other our news on-the-fly. 07.11.2005 New free toplist version DF™ Toplist Lite 2.64! 04.11.2005 New toplist version DF™ Toplist Pro 2.64! The first toplist version with support accounts multiadministration with DF™ Toplist MultiMembers system. Other improvements you can see in the toplist changes log. 30.10.2005 New version of DF Web-Traffic Shop(Purchase&Sale) 1.12! Has appeared new detailed statistics, has added log of transactions, increased amount of notices. Information about new functions you can see in changes log and at the page of system description. 24.10.2005 DF™ Web-Traffic Shop system is now available for free! 14.10.2005 DF™ TopList MultiMembers — new module for work with toplists! 23.09.2005 The new version of DF™ TopList Pro v2.57 has released! 2.06.2005 Our toplists can be used with Trades Cleaner service! Trades Cleaner service allow to find out toplist members which use exploits, hidden frames, opener and other banned content. The documentation to system DF™ Web-Traffic Shop is updated. The distribution kit of DF™ TopList Lite under OS Solaris is now available. Last day of discounts on the occasion of our modest anniversary, we have prepared for you a gift. At purchase 5 toplist (or other products) you receive one more free-of-charge! The offer is valid only the one day — on April, 1st. 28.03.2005 We are 5 years old! Already within five years we make software which help you in the internet business. We grow together with you, our successes — your merit, therefore in our anniversary we have prepared a small gift for you. Within 5 days (from March, 28 till April, 1) we declare the celebratory prices — discount of 10% for all! Has passed 5 years from the moment when we have issued the first update for toplist! For this time a series of products for work with the traffic has been developed: DF™ TopList Pro, DF™ Cheat Analysis and others. While development we aspired to create a professional qualitative product which will be claimed by web designers. Sometimes it seems, that something we was done successfully. 28.01.2005 We accept new billing systems! 29.11.2004 Released new versions DF™ TopList Pro/Lite 2.31! 08.09.2004 Released new versions of DF™ TopList Pro/Lite v2.24! 15.08.2004 Started testing of system DF™ Web-Traffic Shop v0.98! Added anticheat protection, cheat log, detailed statistics. 10.08.2004 Started installation of new version DF™ TopList Pro v2.22! It isn't release yet. Documentation comming soon. 24.06.2004 Released new version of DF™ Web-Traffic Shop (Purchase & Sale) v0.97! 06.05.2004 Finished testing of DF™ Web-Traffic Shop v0.90! 05.05.2004 Started testing DF™ TopList Pro v2.20! Added country statistics for administration. Country determinated by GeoIP database. 02.04.2004 Started development of DF™ Web-Traffic Shop! System for traffic byuing / selling with division by each country. 28.03.2004 It is 4 years that we exist! Special prices for product! Holiday discounts 10% for all! improved search for visitors. Increased number of fields for search, added fields selection, etc. 20.03.2004 DF™ Cheat Analysis v1.08. Beta-testers invited. 15.02.2004 New development DF™ Cheat Analysis(CA)! DF™ Cheat Analysis — anti cheat system which can be installed into different scripts (TOP/CJ), it analyses passed through traffic and valuate each member. Test started. Added second method design setup with new features. Old setting supported. 09.12.2003 Advertise action! Write us all you know about toplists and get discount! If you know about how does our toplist work and can add or correct DF™ TopList help pages — this offer for you! For each page of description you'll get discount of $7 while byuing. people who works with toplists for writing documentation, translators. promouters — advertising on forums, talking with owners of other toplists with upgrade suggestion. Now available for downloading from our site. Download page. Now available for downloading from our site. DF™ Perl Informer v1.20 — usefull utility for hosting test. We invite all webmasters to our partner program, with which you can earn money by advertising our projects.